The Bar Enthusiast’s Guide to Portland, featuring Mock Crest Tavern, is on sale this month for only $20! But hurry! The online sale ends Oct 31st. You can purchase one for a Holiday gift, and one for yourself as well. Click here for the deal. Or visit here: Drink Deck destination guides! Stay tuned for this weeks events at MCT! Sneakin’ Out performs Friday night, October 26th, at Mock Crest Tavern. This group is known for its acoustic and alternative sounds. David Gerow plays the mandolin, Don Henson on percussion, and Mike Cheddar Schmitt is on bass. They met on a musical project in Flint, Michigan where David is originally from. Don and Mike were guest musicians from Portland, and after meeting continuously at several music events, they formed their group. Sneakin’ Out has opened for famous singers including kd lang, John Jorgenson and Pink Martini. They also released their CD, Train Wreck that is available to listen to and purchase on My Space. Apperances also include KOPBs LiveWire and KMHDs Home Grown. Check them out at Band.http://www.myspace.com/sneakinout. Fall has arrived and so has the rain and their isn’t a better way to stay warm and dry than with your friends at MCT. Thanks to all the new subscribers and your support! You rock! Chautauqua will perform at Mock Crest Tavern, Thursday night, October 25th at 8:30 p.m.
Members vary in ages from 18-42, and although they are a relatively new band, each of them has their own backgrounds in music. 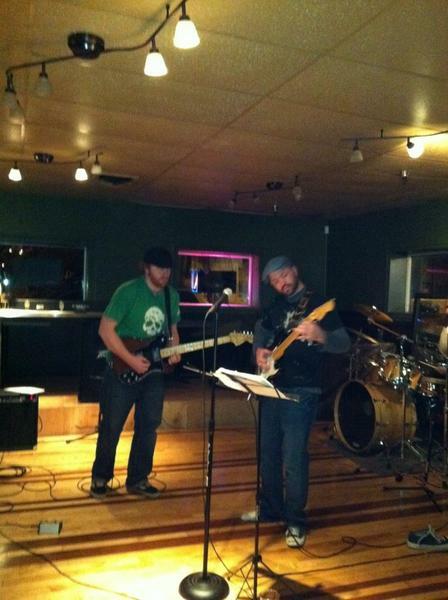 Originally from Portland, Oregon, Chautauqua plays a mix of Blues/Rock/Jam/ and Jazz Fusion. “Out There” and “Snap it Out” are a few of their tunes on Reverbnation that you can sample before the show. The weather has turned cooler, leaves have changed, and the holidays will be here before we know it. Family, friends, food, and planning will have everyone busy. Mock Crest Tavern offers that place to unwind and take a break from the hectic everyday hustle and bustle, and a great place to bring your friends to share a bit of Portland history, great food, and a place to dry off from the rain. Jon and Rainer have been serving awesome people like you since 2001. As business continues to grow we would love to hear about your experiences, favorite foods, bands and your winning hands in poker. Leave your comments on the blog. I look forward to hearing from you. TGIF is around the corner, so why not hit up your favorite place, Mock Crest Tavern, to enjoy a few drinks and live music? NoPo MoJo plays at Mock Crest Friday night, October 19th at 9 p.m. You’ll enjoy their Folk-rock, Swing, and Country music. They are a much-loved, ongoing favorite of the Mock Crest audience. That speaks for their talent, and a night you won’t want to miss. Catch their music at Myspace. 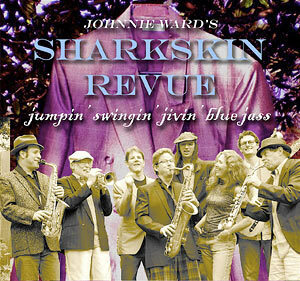 The Sharkskin Revue brings songs of prohibition era swing bands through postwar jump blues as well as the present. They include barrelhouse piano, sly jass, guitar boogie, New Orleans R&B and a wide variety of material from Ella Johnson, Howlin’ Wolf, and Thelonious Monk. You can watch their performance on youtube. If you haven’t visited Mock Crest Tavern before, not only do I recommend the atmosphere and food, but they also offer free Wi-Fi. Rainer and Jon strive to keep customers coming back, and with that extra perk it makes it all the more attractive. Don’t forget to subscribe to the blog for upcoming events, but follow on Twitter and Facebook. MCT loves the support and friendly faces. Thank you!